I’ll be welcoming students into my classroom in five short calendar days—three even shorter business days. Like so many of my colleagues, I’m teaching multiple preps this year. I have three different classes to prepare. Only one of them is new, but the other two are being substantially revised (again!). Yet, like so many teachers across the country in August, I won’t be spending today organizing my classroom, structuring material in our online learning management system, or collaboratively planning with my content team. No, this morning I’m stuck in professional development (PD). My science team travels to a different school in our district, arriving across the county at 7:30 a.m. Budget restrictions this year have eliminated the ubiquitous coffee and donut offerings, which make us a little surlier than usual. For the first hour, we are shepherded into an auditorium—all 300 middle and high school science teachers in our large district. There is a Powerpoint. There are some acronyms. By slide four, I’ve pulled out my phone and am scrolling my Twitter feed. From the auditorium, we have break-out sessions. My team is paired with the teams from a couple of other high schools. Three team leaders are hurriedly conferencing over a folder and the room’s projector. They are our leaders this morning, not because they volunteered, but because someone higher up had “asked” them to. The opening line: “We just got these materials yesterday, so bear with us.” I log in to my computer and begin uploading some of my content into our learning management system. I review my mental to-do list: prepare portfolio rubric, revise my unit calendar, write warm-up prompts—eventually, the slides are ready to go. We—a roomful of professional science teachers—are asked to describe what “understanding” means in our classrooms. I half-heartedly offer up “application” before returning my attention to more urgent tasks. Three work days until students. But! We don’t hate learning. The solution is not to abandon PD. The solution is also not to increasingly micromanage our PD time. And yet, a month ago, I sat riveted during an hour-long research talk. Our speaker had a piece of chart paper taped to a wall and a marker. He spoke quickly, jumping from topic to topic. His talk covered five different experimental set-ups and hypotheses. He scribbled some graphs and tables on his chart paper. I never once felt the urge to pull out my phone or work on something else, and I even wrote down some relevant questions from the talk. Why was that experience so different? A few things immediately come to mind. The research talk was held in mid-July; the start of school was six comfortable weeks away, and I had no urgent distractions. I chose to attend the research talk. The topic and tone of the talk—how to collect and analyze data to determine the effects of climate change on populations, delivered by an expert—respected my professional knowledge and interests. Most importantly, though, the talk came at the end of a week-long professional development experience. During the week, some science teacher colleagues and I hung out with the research team in the field. We participated in data collection. We learned techniques. We had the opportunity to try things out for ourselves and plenty of “white space” for discussing how our experience could be translated into our teaching contexts. The week’s work engaged our scientific training and interests while also helping us think about how we teach climate change in our various contexts. My intellectual curiosity was engaged, I was challenged, and I left excited to translate my learning into lessons for my students. Am I really “the worst student”? Are my colleagues? How have things gotten so bad that the trained professionals in the business of learning have a reputation for being terrible learners? Unfortunately, teachers (as a profession) have cultivated a reputation for hating PD. And this does have real consequences. As more and more teachers are more and more vocal about the time spent in PD, institutions have more ammunition for eliminating PD time from teachers’ schedules. In addition, teachers’ mindsets can start to erode—it’s tough to embrace a “life-long learning” stance when the “learning” proffered to you is routinely disengaging (at the least) and downright insulting (at worst). It becomes easy for teachers to become complacent when they are confident that their professional practice is more robust than what’s on display at required PD sessions. In a thoroughly scientific survey I posted to my Facebook during a PD, a colleague summarized thus: “unengaging activity → salty staff → determination to be un-engaged → more salty people.” So perhaps we should just eliminate PD for teachers, since it’s so widely despised. Ultimately, teachers’ frustrations with professional development do not stem from a genuine disinterest in learning or professional growth. Our frustration stems from a feeling of disrespect. But! We don’t hate learning. The solution is not to abandon PD. The solution is also not to increasingly micromanage our PD time. We deserve to have time allocated to professional growth. We want to be better. We want resources that will serve our students, that are relevant to our context, that illuminate truths about our content, that excite our curiosity. For most teachers, a love of learning at least partly motivated our career choice and drives our work. Most teachers are also able to readily identify areas of practice that they’d like to improve or would like to learn more about. The significant problems plaguing PD are familiar to teachers in all sorts of contexts all over the country, and many of them could be effectively addressed. Professional development must start by presuming professional competence. Teachers are professionals. We have extensive training and are highly educated. We are also practitioners, honing our craft through hours and hours and hours of actual teaching. When the content, tone, or facilitators of PD fail to begin from a premise of professional competence, the audience of teachers will be lost. We have a great store of knowledge that is rarely harnessed or even assessed by standard district PD offerings. Effective PD respects the competence, curiosity, and experience of teachers. Professional development must come at an appropriate time. It is unreasonable to expect teachers to remain fully engaged in PD just a few days prior to the start of the school year. Even if teachers did leave the PD with the expected take-aways, there would not be sufficient time to integrate those take-aways for the imminent academic year. Teachers must constantly operate on multiple time scales: crafting long-term pacing guides, building instructional arcs, piecing together daily lesson plans. When teachers have so many pressing immediate demands—like getting a classroom organized, making copies for the first week, or finalizing a syllabus—there is no bandwidth remaining for spending a full day on lofty, big-picture discussions. We understand that those things are important, but is T-minus three days really the time? Professional development must address actual needs. Teachers and students have many needs. Standard district PD often fails to meet any needs, perhaps in part because teachers are rarely authentically invited into the planning and facilitation conversation. We often walk away from PD with nothing that we can immediately use in our classrooms—or with something that we are expected to use that we have no interest in using. Teachers are expected to accomplish a lot of high-quality work with scarce resources, and spending hours of our precious time in sessions that are not relevant to our most urgent needs can feel especially insulting. Professional development must be coherent. From the perspective of classroom teachers, schools and districts often seem to hop from initiative to initiative, from curriculum framework to curriculum framework. Sometimes, this means that our back to school PD feels like completely starting from scratch after spending two or three years working within a particular framework. At other times, we might be engaged in work that feels meaningful to us only to then be derailed or redirected. Professional development should be professional development. Much of what teachers find frustrating is called “professional development” but does not actually engage us as professionals. Meetings during which we are provided with administrative directives or standardized testing calendars are not professional development. By calling those meetings PD, we devalue actual professional learning. Professional development should be teacher-led. Although administrations seem to be receiving the message that “bottom-up” teacher-led professional development is important, it still isn’t the most common approach. What seems to have become common is to have administrators or other district leaders provide a teacher (or team of teachers) with objectives and materials and ask that teacher to lead the PD. While there is a teacher in front of the room, this is hardly teacher-led: it doesn’t elicit teachers’ needs or harness teachers’ knowledge. Asking teachers to sit for an hour or longer while a someone lectures them about relevance, engagement, and student-centered instruction is absurd. We appreciate the importance of those ideas—and because we are professionals, we know that a long lecture is not the most effective way to engage an audience or build an understanding. Ultimately, teachers’ frustrations with professional development do not stem from a genuine disinterest in learning or professional growth. Our frustration stems from a feeling of disrespect. Our time is our most precious commodity, and when we are asked to spend hours of it on something that does not improve our students’ learning, we get antsy. We have accumulated knowledge through education, training, and practice that is routinely ignored. We know what would energize us and serve our students, yet we are not given time or space to pursue it. We want to work. We want to do our jobs well. We want to learn more about our content, our craft, and our students. 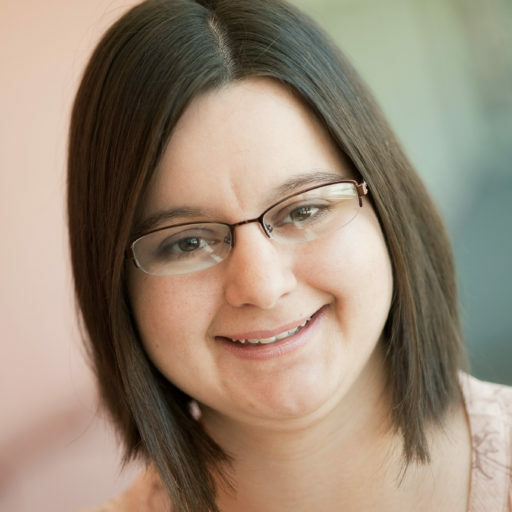 Brittany Franckowiak is a Knowles Senior Fellow who teaches at Wilde Lake High School in Columbia, MD. Brittany teaches general biology, gifted & talented biology, and AP Biology. In addition, she is a teacher development liaison in her building—she develops, implements, and facilitates professional learning opportunities for her colleagues. Brittany sponsors the senior class and Girls in STEM, a school-based club. She is an associate editor for Kaleidoscope: Educator Voices and Perspectives. Brittany can be contacted at brittany.franckowiak@knowlesteachers.org. Franckowiak, B. (2016). Teachers are the worst students. Kaleidoscope: Educator Voices and Perspectives, 3(1), 11–14.